I have always known there were sugar intake levels for being trying to lose weight and obviously folks with diabetes but I never knew the American Heart Association recommended new sugar intake levels for adults. With my family history of Heart disease I better be more aware and this year I will be giving the these great Heart Healthy Valentines for adults in our lives. 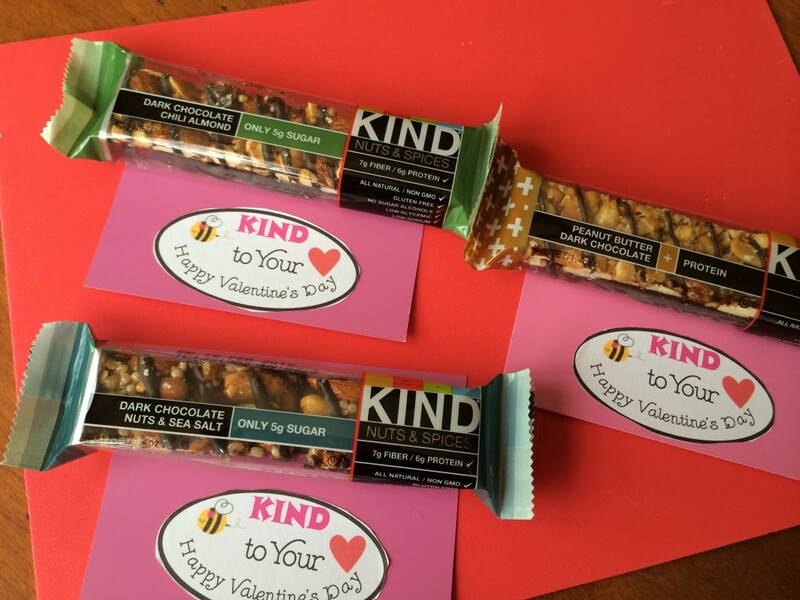 Thanks to Kind bars for sponsoring this post and providing us samples. Back in November, The American Heart Association recommended these sugar level intakes 20 grams per day for women and 36 grams per day for men. That is really not that much if you ever look at the side of a juice container or even some cereals. 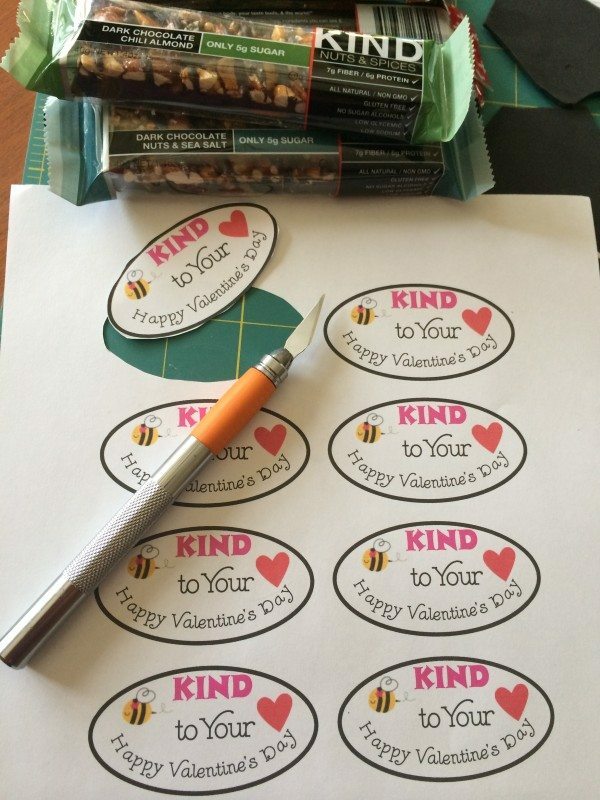 This Valentine’s Day we will give the gift of heart health by putting personalized hang tags on lower-in-sugar KIND Bars. You can see our review of these KIND bars in a previous post. These are really inexpensive once you purchase your KIND bars which retail for around $2 but I usually find Kind bars for less. Pick up some paint color slips at Walmart or Home Depot in your favorite Valentines Day colors. 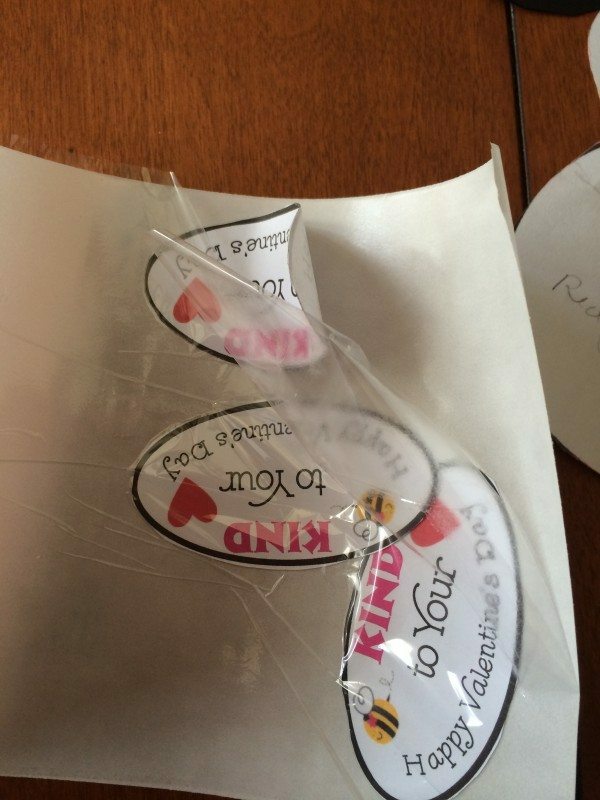 Print out this free Valentine Printable label page , we used our new Xyron Creative Station to adhere to the base since we did not have a sticker sheet. Then just glue stick the KIND bars to the paper as well. 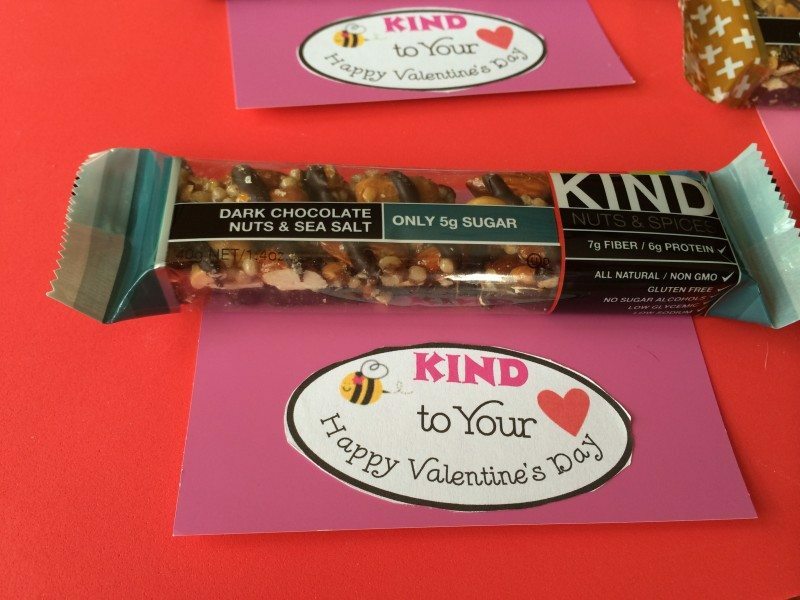 So BEE Kind to Your Heart and share the heart healthy snacks this Valentine’s Day. Do you have people on your Valentine’s Day list that might enjoy this? 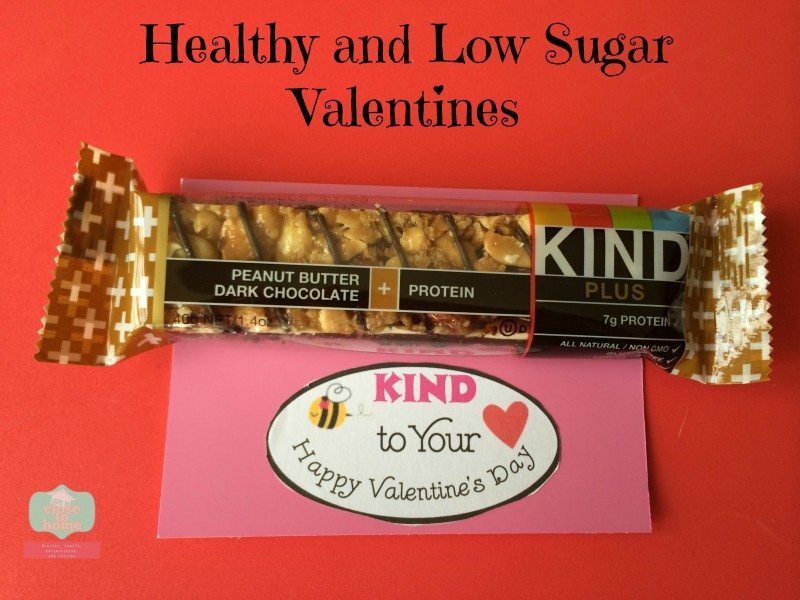 I know that my family members would love to get at Hearty Healthy Snack like Kind Bars. They are so delicious and very healthy. I will have to get some of these and give to family members. This is such a better idea than giving candy.